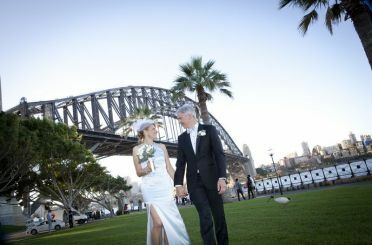 Australian Dream Weddings - Why Marry in Australia? Australian Dream Weddings specialises in assisting couples from all over the world, dreaming of a romantic, unique and beautiful wedding in Australia. What's the most desired location in the world? Where do more English, American, German and Japanese travellers long to visit more than any other destination? What country and city are continually voted as best in the world? The wonderland down-under is officially the most desired location by most world travellers. Year after year, Sydney has been voted Number One City in the world by readers surveyed by the world's two leading international travel magazines - Conde Naste Traveller and Travel and Leisure. Honeymooners and marrying couples are now discovering the beauty, romance and sheer natural magic of this exotic, far flung destination. Situated in the South Pacific, Australia is the world's largest island - yet the world's smallest continent. It is surrounded by the world's best beaches, is drenched in sunshine and is home to some of the world's friendliest people. Most of the country's population is scattered around the expansive coastline - leaving the outback centre a wide, open, largely underpopulated destination ready to be explored by the adventurous traveller. In size, Australia is about the same as the United States - yet its population is less than the State of California. The country's native animals are undisputedly the cutest in the world. Koalas, kangaroos, wombats, emus, platypii and wallabies charm visitors from all over the globe. All of this makes Australia one of the most desired travel destinations in the world and the perfect setting for your dream wedding!